A bubbler is another name for a sprinkler. The water though is less of a spray and has more of a 'bubbling texture'. Bubblers are compatible with 6mm tubing. 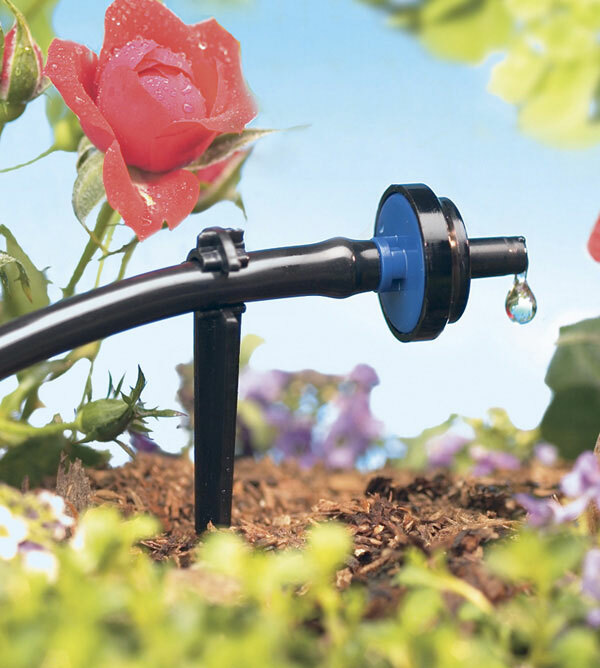 If you add an automatic timer to your drip watering system, this will make the whole system self-sufficient and you need never hand-water again. A range of sprayers and spray heads that can be connected to our 6mm irrigation system. Sprinklers and sprayers are also ideal for special needs such as ground cover, hillsides, flower beds, new plantings and seed germination. These sprinklers will water lage areas of grass / plant borders / large shrubs. All fit onto standard garden hose fitting. Can be connected to timer for automatic watering.